It’s a landslide victory for Marco Taitano Peter of the Republican Party in Saturday’s special elections for the vacant Precinct 3 House of Representatives seat. According to unofficial tabulation from the Commonwealth Election Commission, Peter received 863 total votes to emerge victorious in the four-cornered race. Donald Cabrera Barcinas of the Democratic Party came in second with 447 votes, while independent candidates Mariano DLG Fajardo and David Castro obtained 233 and 193, respectively. The special election was held following the death of representative Francisco D. Dela Cruz last January. 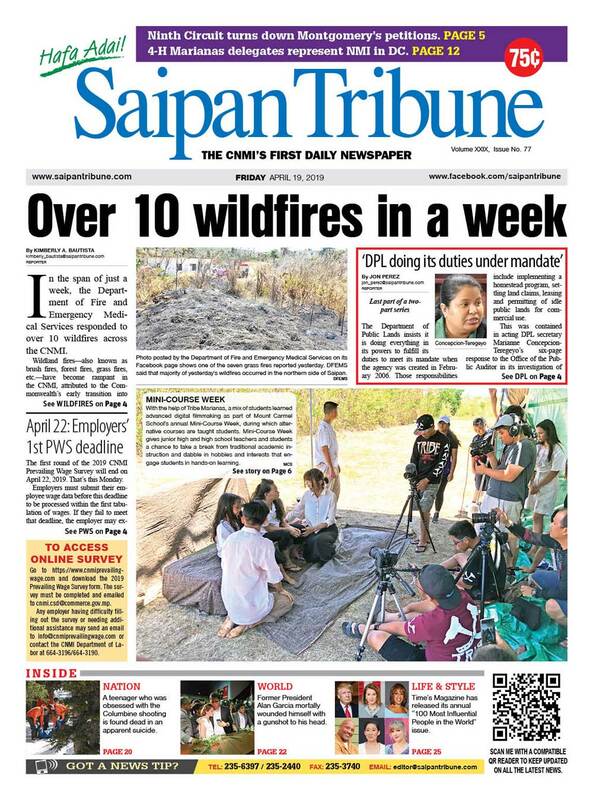 More details on Monday’s edition of the Saipan Tribune.